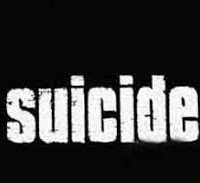 Idaho’s suicide rate, one of the highest in the nation, is again on the rise. According to data from the Idaho Department of Health and Welfare, in 2017, 393 Idahoans took their own lives, for a suicide rate of 22.9 per 100,000 people. That’s up from a rate of 20.9 in 2016, when 351 residents committed suicide, and Idaho had the 7th-highest suicide rate in the country. The number of suicides in Idaho, when population is taken into account, dropped slightly in 2010, 2011, and 2016, but otherwise has been steadily climbing since 2008, which saw 251 self-inflicted deaths. Idaho has had one of the highest suicide rates in America for years, something it shares with Alaska and several other states in the Intermountain West. Theories as to why there are so many more suicides in Idaho and the surrounding region include that suicide tends to be more common in rural areas rather than urban, in Republican areas rather than Democratic ones, and in areas where people have more access to guns. Idaho has taken some notice of the problem, creating a suicide prevention program in 2016 that includes the Idaho Suicide Prevention Hotline and funding programs such as the school-based Idaho Lives Project. Lawmakers also passed a bill this year requiring suicide prevention training for school personnel. The Department of Health and Welfare also plans to start implementing the Zero Suicide initiative, a program to train health care providers to spot and help people who are considering suicide.